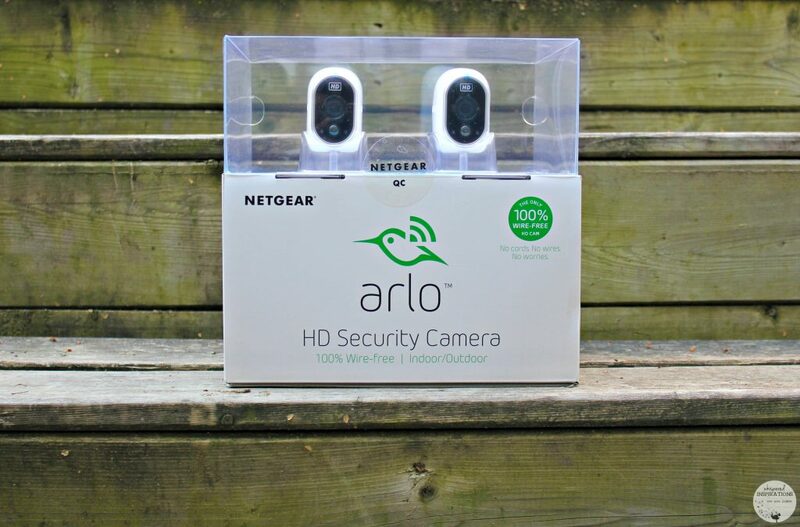 Peace of Mind with NETGEAR Arlo Wire-Free Security System. Knowing that your family is safe is the best feeling in the world. It’s even better when you can actually see any potential danger or theft that can occur when you aren’t looking. 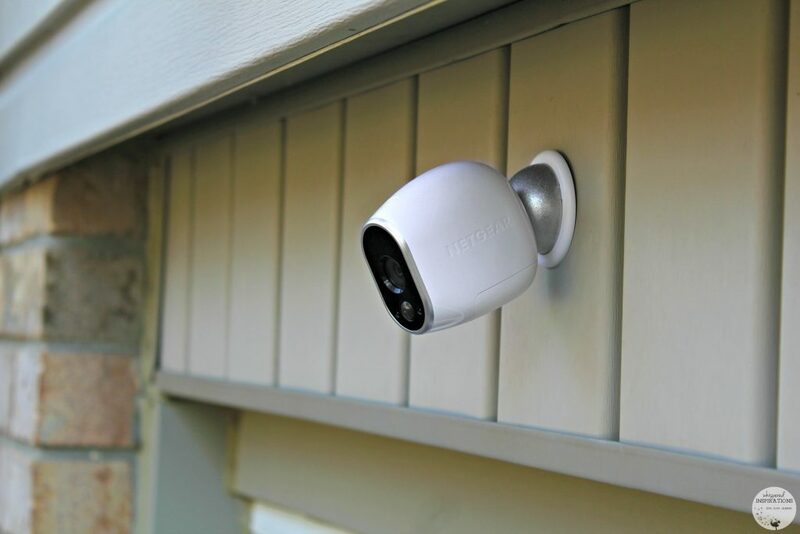 With the NETGEAR Arlo security cameras, you can do just that from just about anywhere in the world you may be. One of the best things about this system is that it is 100% wire-free, it literally takes 10-15 minutes to set the cameras up and you don’t have to worry about cords and wires. 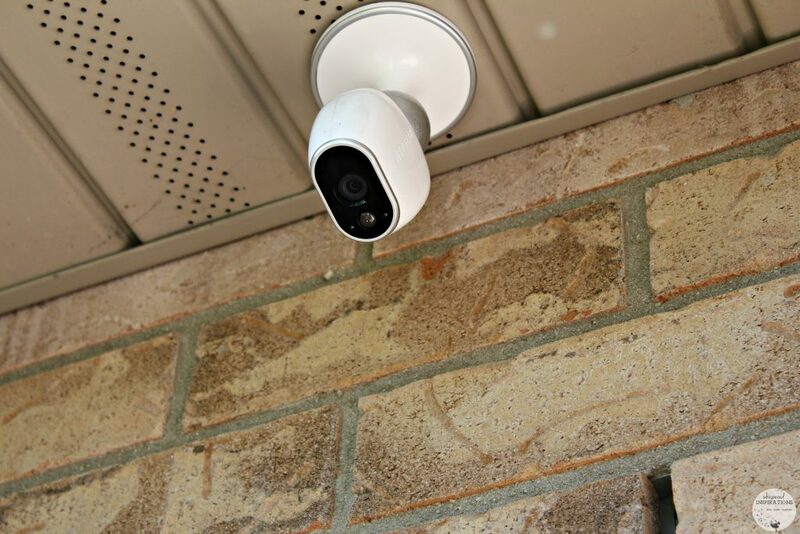 Once you connect the cameras to the base station to your WiFi router, you download the free NETGEAR Arlo app, add your cameras and you are literally ready to go! You don’t have to worry about the weather when it comes to having your cameras set up outdoors. The magnetic mounts make it easy to mount them to just about anywhere. They can withstand nature and with sharp 720p HD video, you’ll be amazed at how clear the footage is. We decided to install them on both ends of our home, that way I can keep an eye out on the front of the home, the front door and the driveway. I can see who is at the door right from my phone as it pushes notifications whenever it detects motion. It’s great to avoid solicitors and to see when the courier arrives. It also helps in catching any thieves if anyone gets any ideas. Even though when we are away on vacation, we always have family house sit. But, having another line of defense is absolutely beneficial. You have access to free cloud storage, where you can store and review the last 7 days of recordings for free. You have upgrade options available if you need more and you can always download any footage you want right through your phone or computer. I have been using our cameras from the very day we installed them. I no longer miss packages because I get notifications that someone is at the front door and in seconds, I can look who it is. I’ve had visitors who stopped by to tend to the house and I’ve been able to see any activity. One of the best parts of Arlo is that you can use it with IFTTT. You can create simple IFTTT Recipes to connect Arlo to other devices and apps to do things like getting your smart lights to turn on when Arlo senses motion. Since I have smart lights, I have been able to connect them to my Arlo and I definitely have peace of mind. 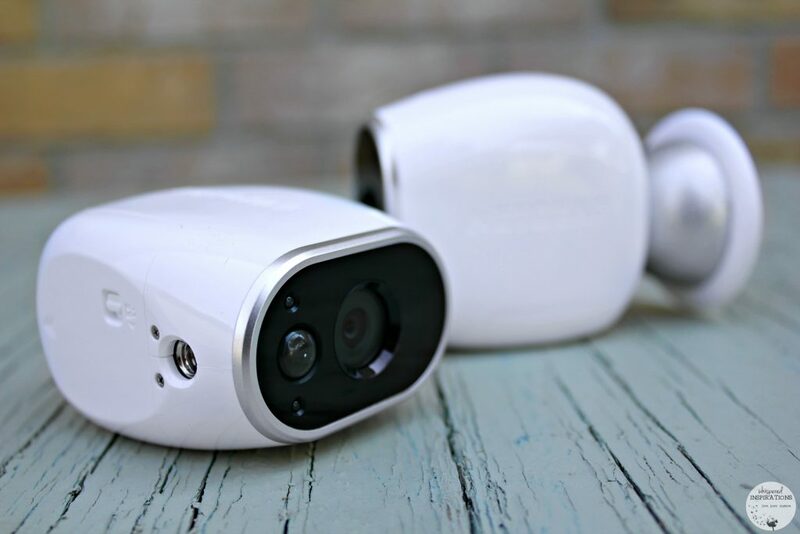 The Arlo is very affordable and start at $329.99. In comparison to other systems that are more complicated and not as high quality, this is bang for your buck. There are a few options, all which come with more cameras and more ways to make your home smarter. Once you have the system, you can connect up to 15 cameras to the cloud. We are going to add more cameras to have access in every angle you can imagine! 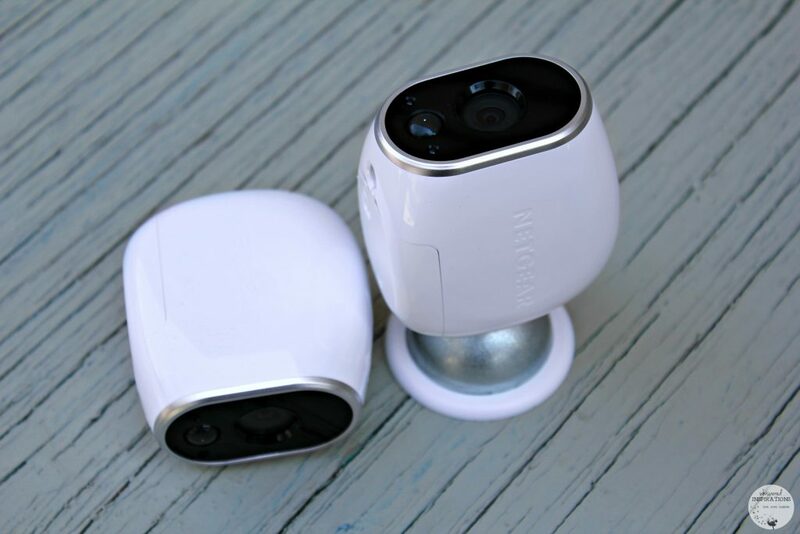 If you are looking for a video security system that provides surveillance you can monitor on your own, you need to get the NETGEAR Arlo. It really will help your every day life and truly give you peace of mind that you need when you are home or when you’re thousands of miles away. 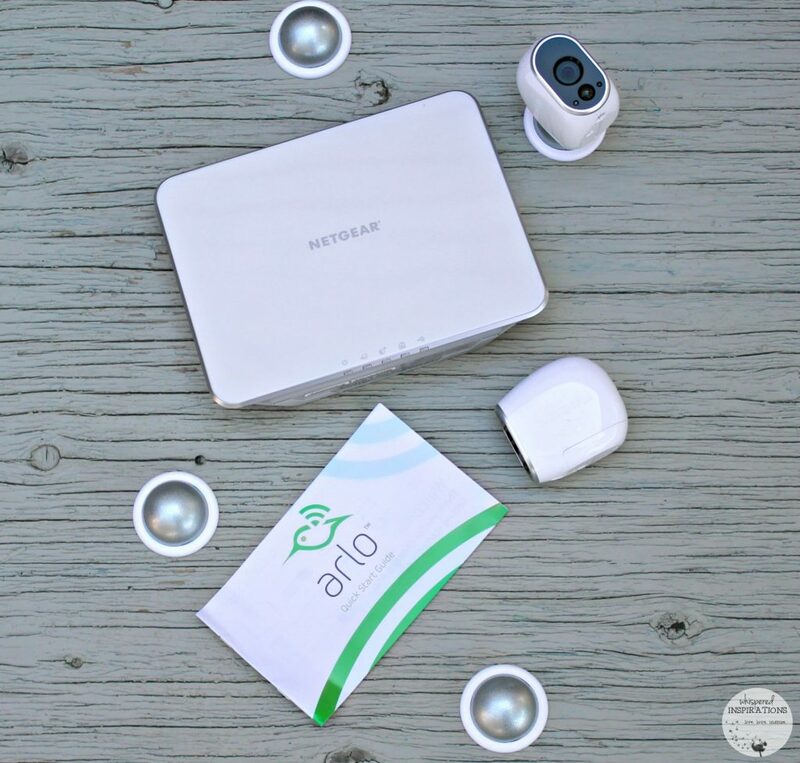 Visit NETGEAR to find out more about their tech and arlo.com to learn all about the Arlo. Make sure to follow them on Facebook, Twitter and Instagram for the latest updates. 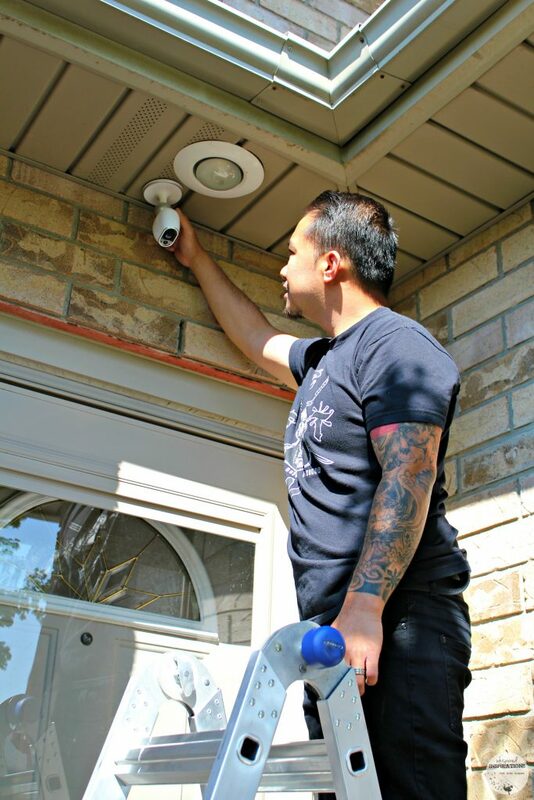 Do you have/want a security camera system? This is a great way to do it yourself. Works so great! This looks like a great way to add some security to your house. I am not in the market right now but I am going to tell my friend who is about it. Thanks for the post. I love the sound of this security system. I rent and this seems like an easy, low maintenance way to add security to my home. I would love to have something like this for our front door. It would give me peace of mind and allow me to see who’s at the door before I open it. That is why we love it too. Ooooo this security system sounds great! Nothing better than having that piece of mind! Might just have to get myself one of these! I love this! It would definitely help out where I live, there always seems to be stuff missing. 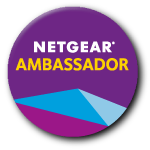 I am always a fan of Netgear. Oooh, that sounds like you would need this. We got a house last year and this camera would be perfect for when we go away on vacation. Would give us peace of mind. For sure, we use them everyday. I just got two packages and saw them before they knocked. Super easy and it has made a huge difference in our lives! Security is so important! These look like a way to make you feel safer!! Boy oh boy! We could really use something like this. There have been way too many break ins in our area. During the day no less!! This would definitely help you! This is exactly what my husband are looking for! Thank you so much for this post! Nice camera. I will recommend this to my aunt, so timely that she needs it! Awesome, hope she likes it. I love the idea of having security for your home. I also appreciate the wireless aspect. Who wants a bunch of wires showing outside your home, right?! Exactly. Wireless is so much better! Protecting your home is very important, its smart to invest in this kind of hardware. Stay safe! I dont have a system set up in my home but with the crime happening everyday around me its time to get protected,thanks for the great review ! We have been thinking about something like this but have yet to start really looking into this. Thank you for the review and all of the information. I like the concept of wireless. How did you mount it to your vinyl siding? Did you need to put holes in your siding? Yes, we drilled it in and it is super sturdy.